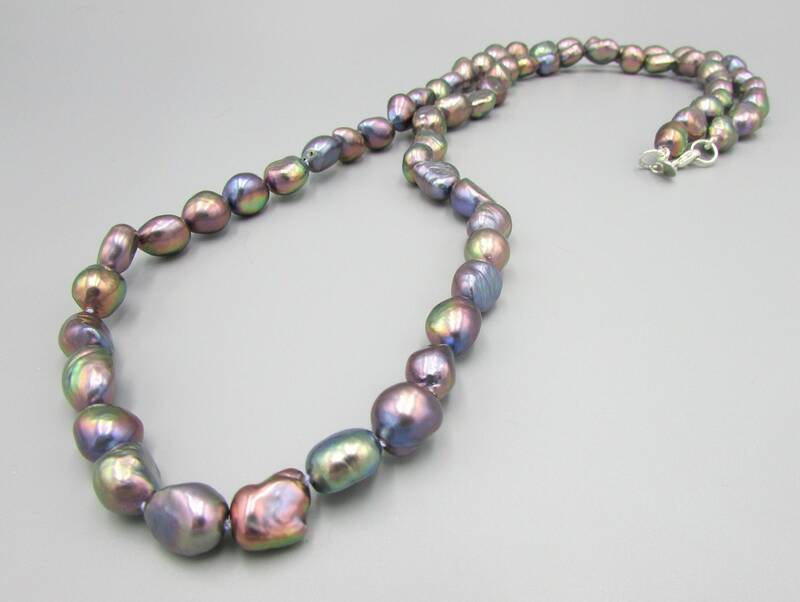 This stunning long peacock pearl necklace is nearly 30 inches long, hand knotted on double 100% silk thread between each pearl for beauty and durability and finished with a sterling silver lobster clasp. 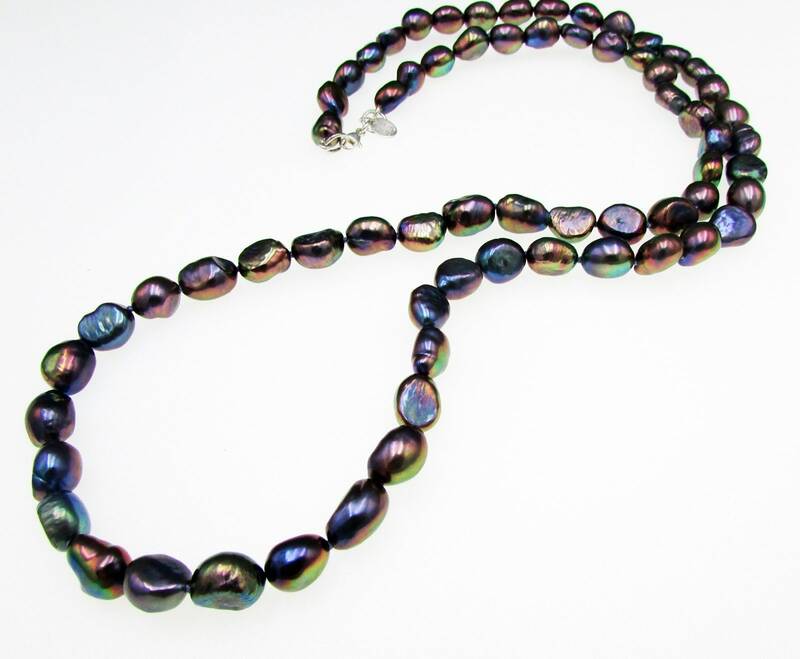 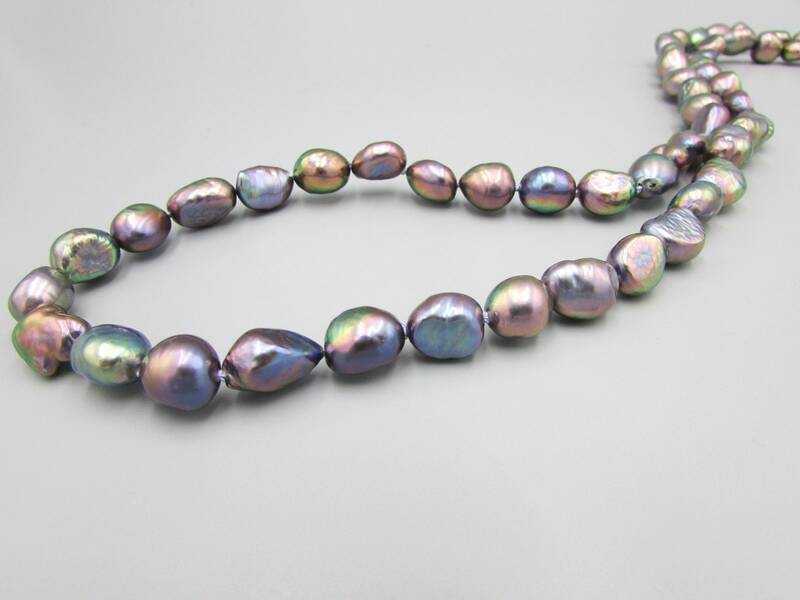 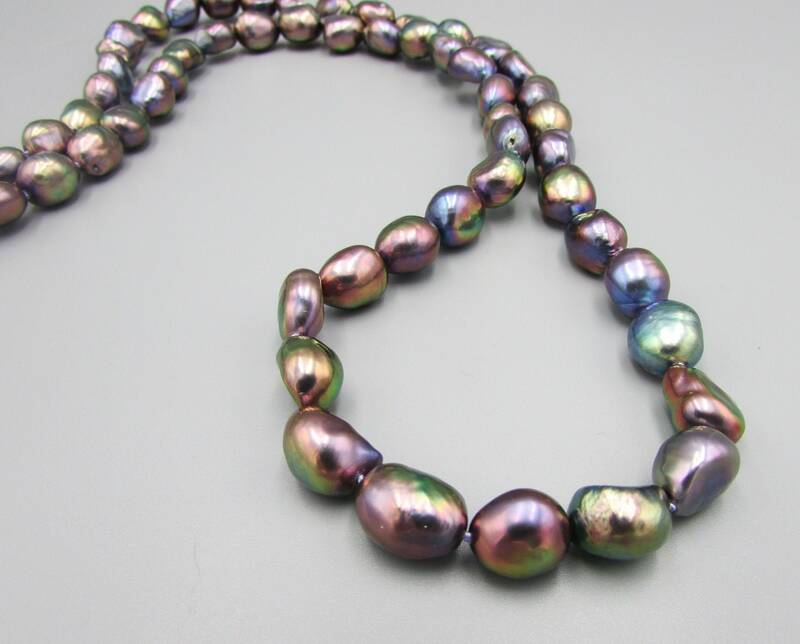 The pearls are a beautiful metallic shade of purple, bronze and pink hues. 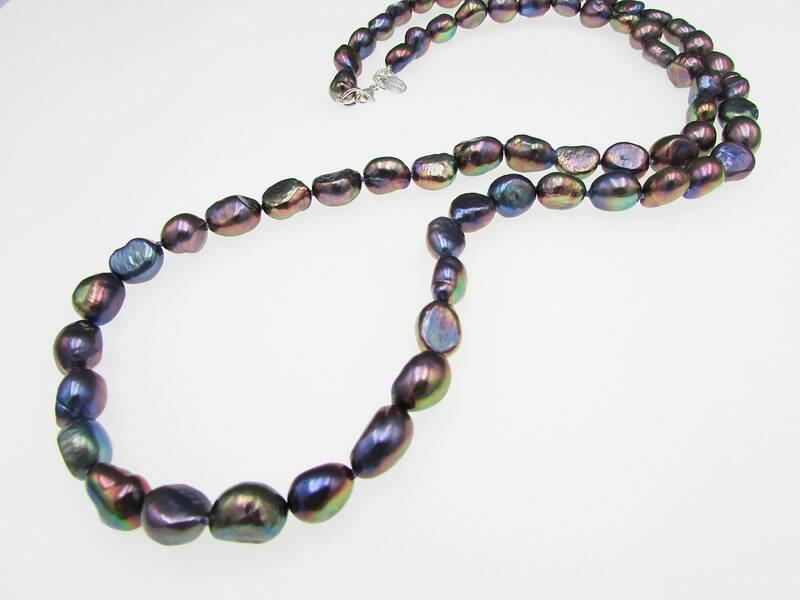 The nuggets pearls are 9x8mm's in size.